My street… other than in the “not-so-well-off” parts of town, all of the houses are behind gates. 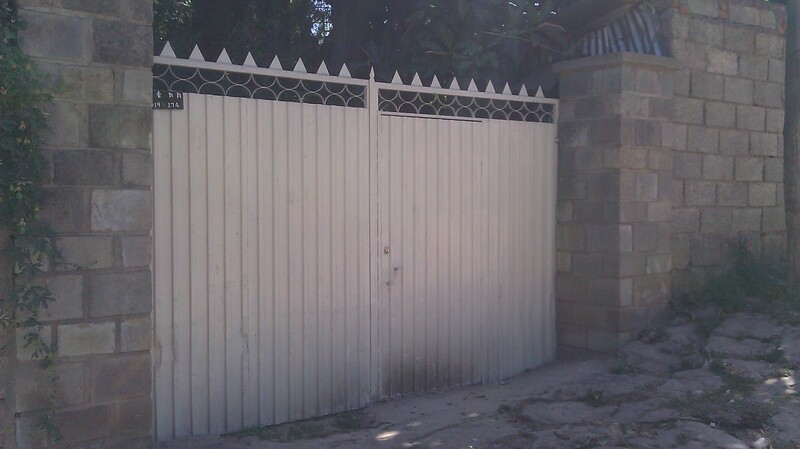 My gate… the house I was at had one servant, a guard, who watched the gate and took care of the yard. 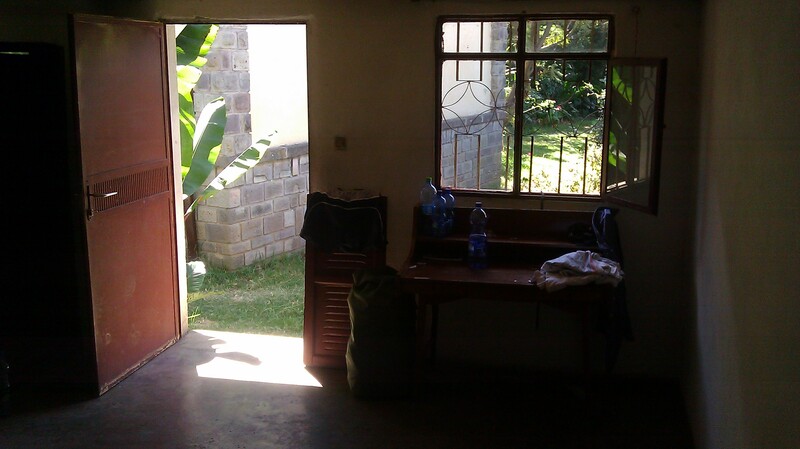 The view from jsur inside the gate… the main house on the right and my room to the left. My portio of the service… there were four other buildings to the right of mine, but nobody lived in them (the guard lived in a guard-house up near the gate). A shot of my room from just inside the door. A shot from the back wall looking back toward the door. So pretty bare bones… but the price was right. And after a while, sleeping on those thin mattresses became very comfortable, so much so that now sleeping on a soft bed is strange. As far as “facilities” go, I just used the bathroom and kitchen in the main house. And this being Addis, the power went out several times a day, and the neighborhoods water would get turned off anywhere from several hours to several days without warning… luckily, this house (and every house here I think), has a large water storage tank that we could use for washing, showering and flushing toilets (I’ve never taken so many bucket showers in my life as my time here in Ethiopia… something you have to do in some of the cheaper motels in the small towns). It ended up being a great place to stay (centrally located and near a cafe with a good internet connection and a generator). 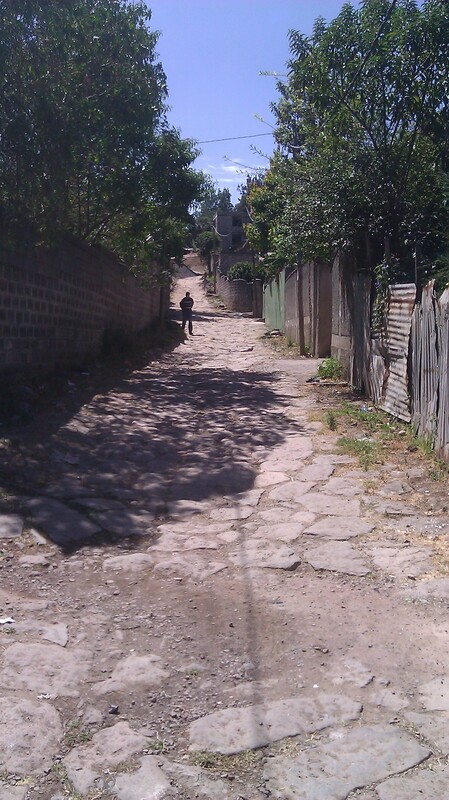 This entry was posted in Ethiopia by Richard. Bookmark the permalink. I know you purposely wait to post these pictures until you leave the area, so that you don’t shock your mom. Well, Richard, this is your former manager and colleague, Lesley. I got the link from Jeanette D who suggested i check out your world travels blog, and I am quite impressed. You are living the fantasy of many a corporate person. I’m envious! To be honest I would stay more in the garden. Seems a better place to sleep :D. Did you sleep in a guesthouse in Addis Ababa? 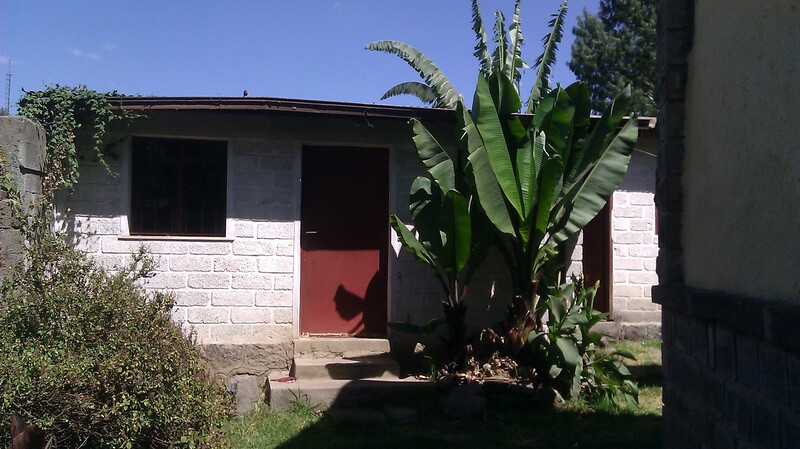 I will be there in January before heading to Uganda and the prices for bed is quite expensive :). The garden would have been nice… but it’s pretty chilly at night so you’d have to bundle up. When I first arrived in Addis I stayed at the Taitu Hotel in the Piazza area. 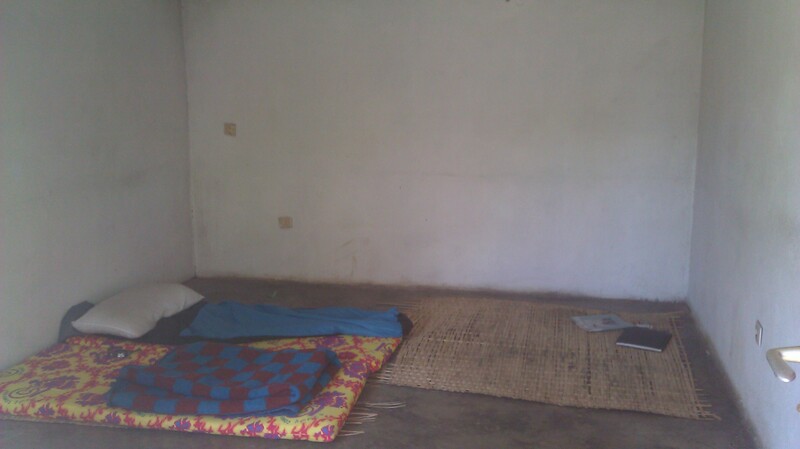 Rooms were around $10 a night for the ones with hall bathrooms… pretty beat up, but nice social scene for travelers. Just around the corner was the Wutma Hotel. Same price, rooms looked a little better and the food was good and cheap. I also heard that Mr. Martin’s Cozy Place wasn’t bad, but never saw it. 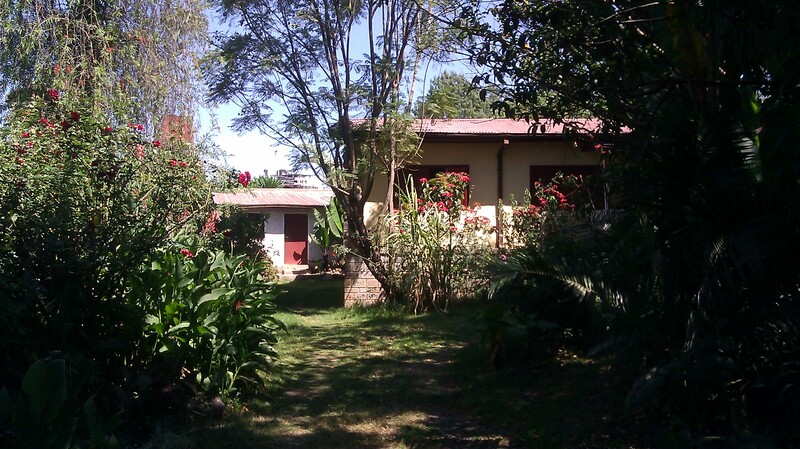 We finally choose Norr Guest House; it’s a little bit expensive but its seems to be a nice place. I was asking more about me because at the end of stay in Ethiopia I will became a solo traveler and the price is definitely to be taken into consideration; Taitu seems to be a good and safe option. Yes, Taitu was fine although a little dated… but all the socializing folks made it worthwhile. Have a good time and let me know how it goes.